Savannah never fails to surprise me. 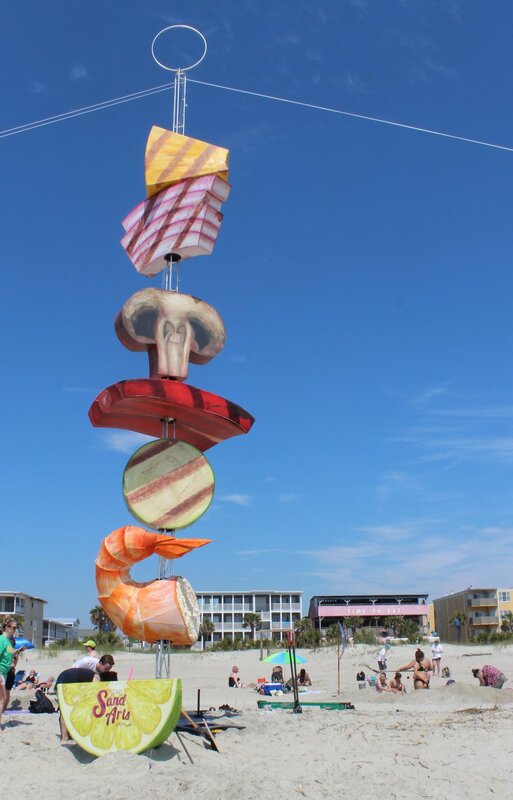 What's unique to not only the town, but SCAD in general, is that there's always something going on. Whether it's a farmers market, a dog carnival, a fashion show, an open mic night at a coffee shop, an industry professional speaker, or ya know, a sand arts festival, you always can find something to do or attend. This weekend I attended a festival that was based around building sand and wind generated sculptures and yes, it was as rad as it sounds. 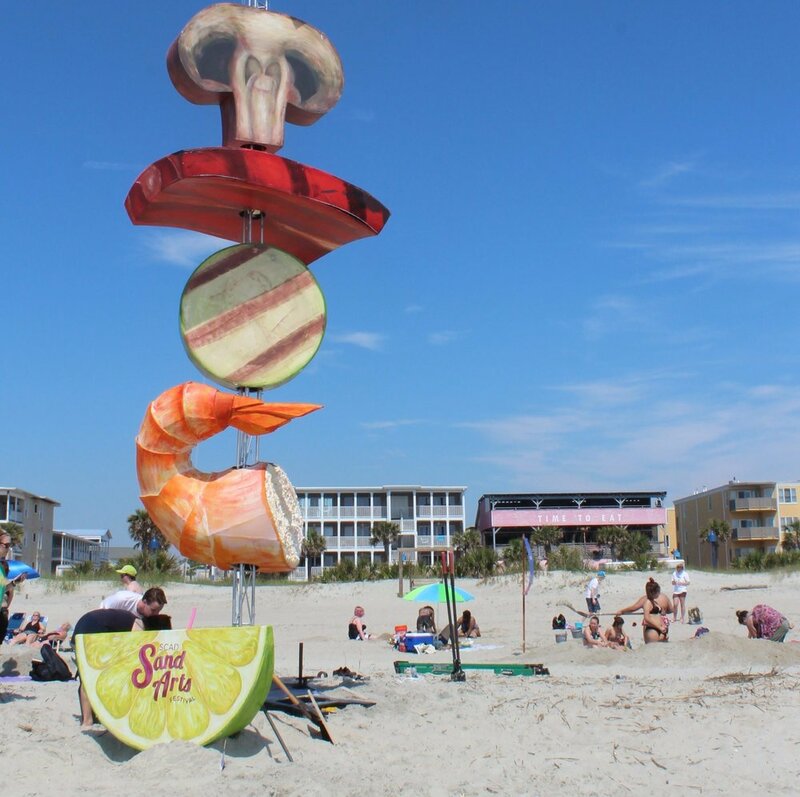 Basically every year, like the Sidewalk arts festival, SCAD hosts the Sand Arts festival at the beautiful Tybee Island beach. It's a competition, so you can gather up some friends, build a sand sculpture or relief, or a wind generated sculpture and potentially win some cash! I actually got to participate because my project for design was to build a wind powered sculpture and bring it out to the festival. My teammate and I didn't win or anything... but it was still pretty cool to create something that was actually a functioning piece, lol. I was so impressed by all of the different concepts and pieces that were being made, so naturally I took a million photos of my favorite ones. You can bet this Florida girl was in heaven with the combination of a beautiful beach day and fun & inspiring art to look at! I would say my first Sand Arts festival experience was a success because even though I may not have won a cash prize, I have the tan to prove it. Check out all of the photos below, as well as the fun little video I put together!